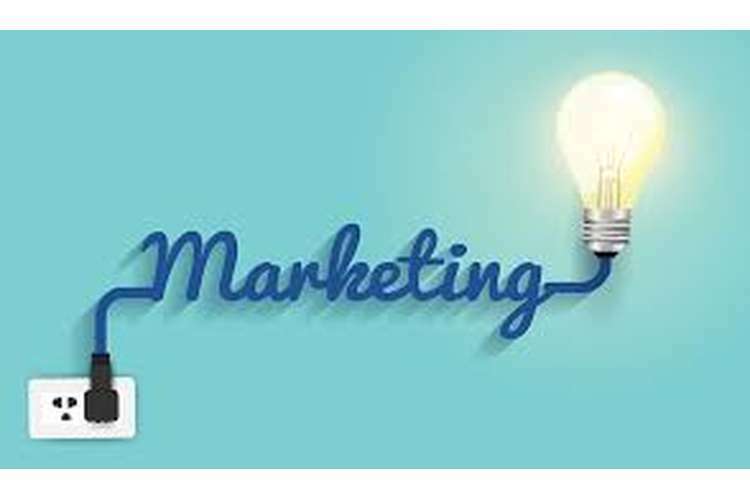 Marketing function is earlier meant with the sale and purchase of goods and services but to perceive a narrow concept about marketing function will be shallow. Apart from sale and purchase of goods and services the process will be on satisfying the needs of customers. It begins with satisfying needs and wants of customer and till it is satisfied. For that different concepts of marketing should be understood. In our situation we will analyse the two companies and make comparison on the basis of its marketing functionalities. We will analyse on the basis of parameters of success that these company gained over the period by time due to its effective and efficient marketing policies. These parameters are product quality check centres, effective advertisement policies, dedicated customer grievance and retrieval customer care centre. We will judge the companies on these parameters and make an act effect analysis. It is fourth largest bank of Australia. It was founded a vast back in 1835 around 181 years ago. It mainly operated in the country of Australia and New Zealand & 30 other countries around the globe. It is also known as ANZ bank. Over the period of time ANZ expenses cover vastly over its marketing & advertisement policies. Through an effective and creating consumer awareness advertisement campaign banking group has played an important role in successfully implementing its marketing policies. The banking group has received various global awards for consumer welfare. For consumer welfare and awareness and to create and effective customer service environment in organisation bank has shifted his major policies to digitalisation creating focus of its customers on online banking. Apart from that company also focus on its corporate social responsibility implementation. ANZ stress upon customer welfare policies in its organisational culture (Malhotra, 2012). It is a supermarket or grocery store chain, a leader of Australian FMCG retail market with its headquarters in Bella Vista, New south Wales, Australia. It was founded in early 1920’s way back around 91 years ago. It is located in more than around 961 locations of the country. Through its effective schemes and credit card which includes incentives and discounts given by Woolworths supermarket as a effective market tool and strategy it captures more than around 80 % of the Australian retail segment which is a huge market. Woolworths has become a renowned Australian brand over the period of time. Through its effective and efficient marketing policy and customer welfare as corporate social responsibility, ANZ works on finding the needs and demands of its banking customers and make all efforts and make changes in its policies to provide services of best quality to the satisfaction of the legitimate needs and demands of its banking customers (Epuran, et. al., 2015). Through the successful advertisement campaigns to educate customers and to create banking awareness ANZ stands in top 20’s of advertisement spends. Its advertisements show not only Wit and humour but also give financial literacy to its banking users (Stewart & Saren, 2014). ANZ total focus on digital banking was proven when financials of ANZ shows that one third of total spends of ANZ was on digital. By promoting actively towards focusing its customer towards Mobile Banking by advertising its mobile application “grow app” supporting the wealth high net worth customers in keeping the track record of their financials and manage their portfolios through the mobile banking application (Challagalla, et. al., 2014). ANZ one of the effective advertisement campaign over the recent times is “like to get on top of your credit card debt?” has places a great impact on its turnover and helped to gain market cap of ANZ. Putting house hold debts of the organisational customers at record level with the further decline in interest paid on credit cards ultimately resulting in lower default rate and higher profits. Other polices added to this campaign charging no interest on the balance transfers over 16 months for credit card holders. This has hugely helped ANZ to widely concrete its strength in the huge competitive market and global finance crisis. The ANZ is rapidly moving its strength in property market loans where focus is on the segment of customers preferring to buy homes. Heavy advertisement during the festive season like Christmas, with the help of an effective advertisement campaign ANZ succeeded in attracting home buyers and the property loan product of the company (Raska, et. al., 2014). Further the long term strategy is to focus over regional expansion. ANZ is working with a motto of creating or deepening its roots in the Asia pacific region and creating products according to needs and demand of diversified regions. With local partnerships to better understand the local market situation it is working on its super regional strategy to achieve its long term goals and objective more efficiently and effectively (O'Keefe, 2016). ANZ is also working on its corporate social responsibility an effective tool of social marketing management. It has recently organised ANZ’s Australian Open Partnership which not only helped the organisation to promote the brand of the company not only in local Australian and New Zealand market but also to grab its roots in Asia pacific region. ANZ has launched various sports related campaign to support its promotional activities by way of sports. It has also endorsed various sports personalities as its brand ambassadors (Beverland, Napoli & Yakimova, 2009). With greater impact on its innovation techniques and by offering value to the customers the Woolworths supermarket focuses on total customer benefit programme. The Woolsworth is among the top 25 companies of Australia with respect to spending in terms of advertisement and promotional activities. Its strategy is on innovation to meet the current market needs at lowered prices. Not only existing stores are renovated but also new stores are opened at various places across the country. As a major positive turmoil in the companies workings the major advertisement campaign in the recent times “always at Woolworths” helps woolsworth in gaining the trust and favour of the customers. Woolsworth works on the policy of new priced based marketing campaign. The promotional techniques are generally used by the producers but some sales promotional tools to attract the customers like discount and offers at various period of time. This is an important element of Woolworths supermarket which is concerned with its activities to increase the sales of its customers. The promotional techniques of the company aims at informing and persuading the customer to the product from its retail stores and informing the buyer of those product its merits (Askelson, et. al., 2015). The various marketing tool or element which is followed as a means of marketing technique of supermarket chain like effective advertisement policy, long term and short term sales promotion techniques, developing customer and public relations to deepen its roots in retail chain market. The company is shifting its policies in recent times towards EDLP (everyday low value pricing) model and various low prices advertisement through various channels of marketing has enhanced the rapid increase in proportionate sales by delivering new products and create a better experiences among the customers. The reduction of prices are made several times in percentage term from the list price of various products for short period of time helps company to maintain its sales during off season also. Basically garment sector of the retail chain greatly affected by the price fluctuations. Other prospects like participation of consumers in various events organised over the period of time and offers like ‘scratch a card’ and lucky draws are offered by the organisation from time to time (Scott, 2012). Both companies focus on effective advertisement and promotional techniques to put a great impact on creating Brand value and developing the organisational image in the environment of its working area. While ANZ bank strives its marketing policies on excessive advertisement by spreading and expanding in its regional areas and while focusing on making company in its digital development of its customers major strive is on putting an emphasis on mobile and digital banking on the other hand in the marketing policies of the Woolworths supermarket, company mainly focus on discounts and offer techniques to attract more and more customers (Sriram, Chintagunta & Neelamegham, 2008). It is analysed from the above fact sheets and after making comparative analysis it helped customers and company in diversifying its expansion. Further it helps in increasing turnover of the companies by effective marketing strategies. It helps customers in fulfilling its basic purpose. All the techniques and models followed by organisation aims at increasing the demand by cutting down the prices of the products as a important marketing promotional tool help the businesses in growing and expanding in the near future. The technical and professional aspects of the both the businesses showed an showed an intimate legitimacy so there is always proof for it that the customers feels comfortable to buy a product which is widely advertised. Thus the effective marketing campaign played an important role in developing to the maximum growth and development of organisation. Askelson, N.M., Golembiewski, E.H., DePriest, A.M., O'Neill, P., Delger, P.J. & Scheidel, C.A. 2015, "The Answer Isn't Always a Poster: Using Social Marketing Principles and Concept Mapping With High School Students to Improve Participation in School Breakfast", Social Marketing Quarterly, vol. 21, no. 3, pp. 119-134. Beverland, M., Napoli, J. & Yakimova, R. 2009, "Branding the business marketing offer: exploring brand attributes in business markets", Journal of Business & Industrial Marketing, vol. 22, no. 6, pp. 394-399. Challagalla, G., Murtha, B.R. & Jaworski, B. 2014, "Marketing doctrine: a principles-based approach to guiding marketing decision making in firms", Journal of Marketing, vol. 78, no. 4, pp. 4. Epuran, G., Dovleac, L., Ivasciuc, I.S. & Tescasiu, B. 2015, "SUSTENABILITY AND ORGANIC GROWTH MARKETING: AN EXPLORATORY APPROACH ON VALORISATION OF DURABLE DEVELOPMENT PRINCIPLES IN TOURISM", Amfiteatru Economic, vol. 17, no. 40, pp. 927-937. Malhotra, N.K. 2012, Basic marketing research: integration of social media, 4th edn, Pearson, Upper Saddle River, N.J;Harlow;. O'Keefe, D. 2016, "Evidence-based advertising using persuasion principles: Predictive validity and proof of concept", European Journal of Marketing, vol. 50, no. 1/2, pp. 294-300. Raska, D., Keller, E.W. & Shaw, D. 2014, "The Curriculum-Faculty-Reinforcement Alignment and Its Effect on Learning Retention of Core Marketing Concepts of Marketing Capstone Students", Marketing Education Review, vol. 24, no. 2, pp. 145-158.